Academy Mechanical Services works with a variety of customers to keep their forced-air units operating efficiently all year long. A little regular maintenance can save you a lot of money over an emergency furnace repair. Spruce Grove and Edmonton homeowners and businesses can count on the 40-plus years of furnace maintenance and repair expertise of Academy Mechanical Services. A furnace can break down at any time, but they typically do so during the coldest days of the year, when pushed to the max. Fortunately, our team is here to deliver 24-hour emergency furnace repairs to the Spruce Grove and Edmonton areas. Academy Mechanical Services wants your family to stay nice and toasty all winter long. That is why we apply our four decades of experience in furnace repair toward keeping your furnace up and running as efficiently as possible. And as you probably already know, we do offer 24-hour emergency furnace repairs to Edmonton, Spruce Grove, and all of the surrounding areas. Academy Mechanical Services also sells and installs new high-efficiency furnaces from Lennox® and Carrier®. After all, who better to ask about purchasing a new furnace than a company that knows these units inside and out. Academy Mechanical Services offers sales, services, and installations of commercial rooftop units. Since your business success depends on happy customers and employees, our rooftop furnace specialists can ensure your furnace is tuned-up and operating correctly. To schedule an installation, service, or repair, call Academy Mechanical Services, today! Are you interested in a new, energy-efficient furnace for your home or office? We are proud to be an authorized Lennox® and Carrier® dealer and installer. These furnaces are built to last and will provide you with years of dependable, energy-efficient home heating. Want to learn more about the latest energy-efficient furnaces? 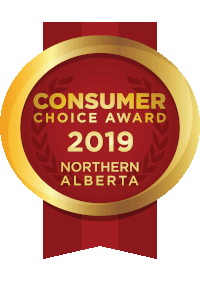 We’d be happy to discuss the many ways you can save money with a high-efficiency furnace — call us today at 780-438-1750 (Edmonton) or 780-962-6025 (Spruce Grove). Letting your furnace break down in the middle of winter is a quick way to turn your home or office into an icebox. Want some friendly advice? Make sure your furnace is well maintained. Here are some easy maintenance checks that will help you offset the need for furnace repairs in Spruce Grove, Edmonton and surrounding areas. If you need repairs, get help fast from Academy Mechanical Services Inc. The thermostat is the most frequently broken component. It’s always a good idea to make sure your thermostat works properly before you check the furnace. Depending on the age of your furnace, it may be more cost efficient to repair your furnace than to replace it. Contact Academy Mechanical for free pricing estimates. 3. CHECK YOUR AIR FILTER. Air flow problems and increased allergies can be caused by a clogged, dirty or damaged air filter. If your air filter is fine, give us a call for help with additional furnace repair in Edmonton, Spruce Grove and surrounding areas. If your breaker has flipped, make sure there are no burn marks on your control board or exposed loose wires before you flip the breaker back on. Heat pumps, air ducts and drain lines can become clogged. Turn off the furnace completely before checking these areas. Check the chimney exhaust flue as well. Birds commonly try to nest here because of the warmth. It is a lot easier to deal with minor furnace repairs in Spruce Grove and Edmonton than it is to suffer through bigger problems later on. Fortunately for you, our technicians are qualified to fix or replace your furnace, no matter what the problem is.